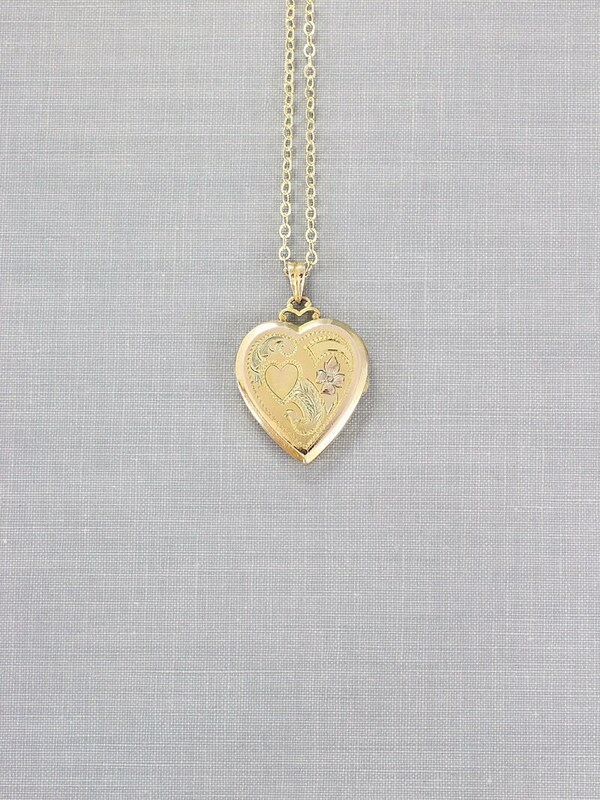 A beautiful 1940's to mid century gold filled locket is engraved with whimsical swirls, a flower, and a heart. 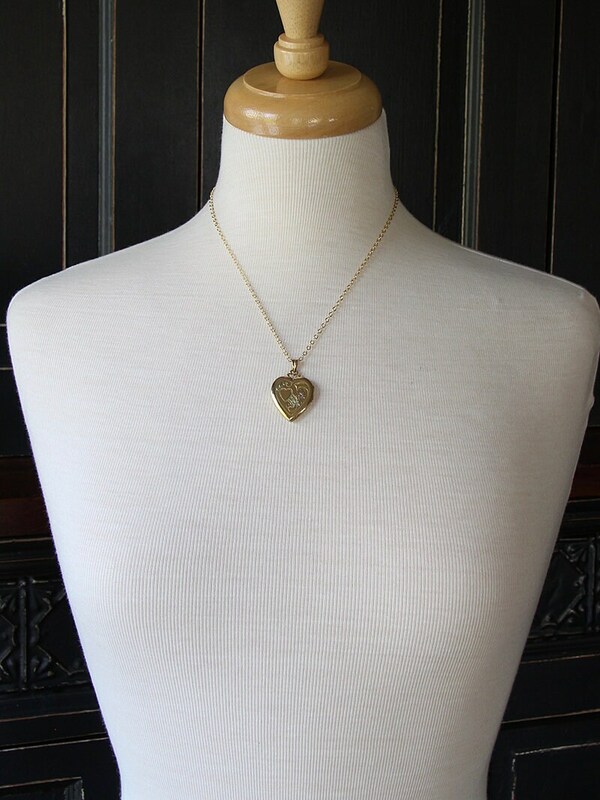 A true classic Hayward collectible, this locket features the signature details of the old Massachusetts based company's style including their special pinstriped back. 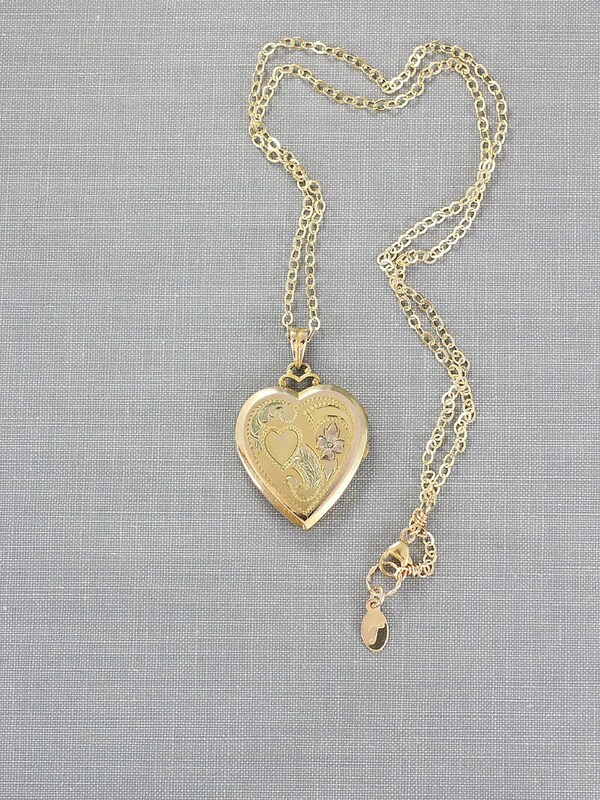 The locket is crowned in fancy detail with the original bail. 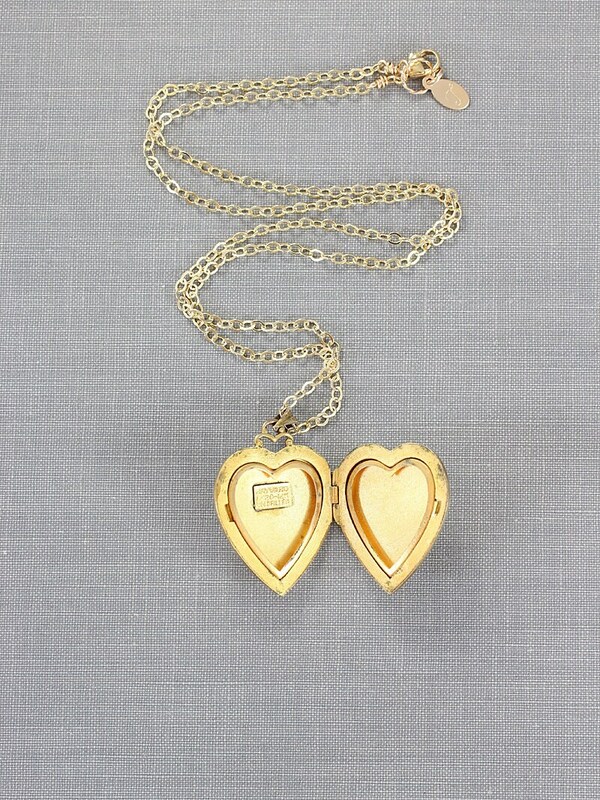 The vintage heart locket opens to reveal two removable frames ready to hold your beloved photographs. 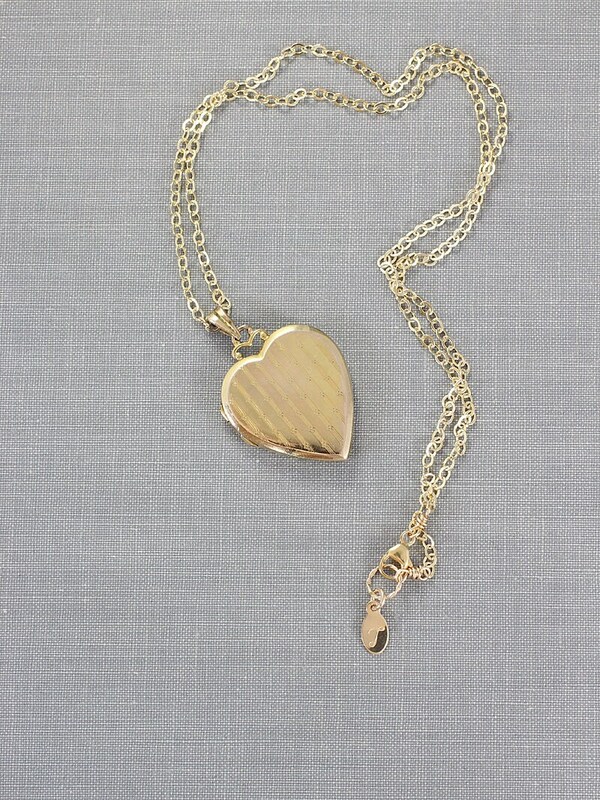 This locket dangles from a new 14 karat gold filled chain hand finished with a trigger lobster clasp and ring.